Corbett's Compliance is an email alert and blog series of construction related compliance matters from the perspective of a seasoned construction attorney. 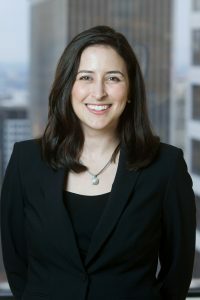 My name is Karin Corbett and I am a construction law attorney and have seen many compliance concerns throughout my practice. I decided to take those experiences and knowledge and create a series that will keep clients and contacts up to date regarding compliance revisions, frequently asked questions, and frequently missed details to remain compliant in a highly regulated field.